Walt Disney, one of the most successful entrepreneurs in American history, once said, “All our dreams can come true, if we have the courage to pursue them.” For many of us, entrepreneurship is our among our greatest dreams. Working for ourselves. Achieving on our own terms. Building something valuable and great. We aspire to do more and be more than cog in someone else’s corporate machine. Sadly, we don’t all have something as creative and original as Mickey Mouse and all he’s come to stand for up our sleeves. But there is another way. You might call it Entrepreneur Lite. It’s franchising. 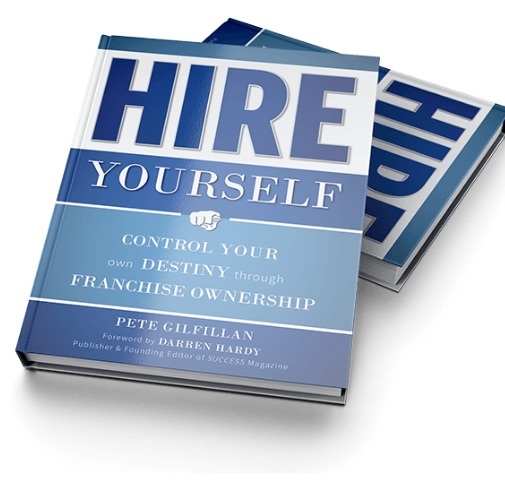 Franchising is a business model that’s about working for yourself, but not by yourself. In the franchise business model, companies (franchisors) sell the rights to operate a business to the franchisee. The franchisee gains access to the company’s marketing, training and operating models, along with permission to promote the brand, product or service. That allows the business owner to build on the success of a proven system. Franchising is a critical engine for our economy, and it is adding lots of jobs—around 278,000 just in 2016. In the U.S. alone, franchises employ an estimated 9.1 million workers. In terms of its appeal to a would-be entrepreneur, franchising falls somewhere between muddling along at the whim of the corporate world and diving fearlessly into an untested venture. It provides independent business ownership wrapped in the relative security of proven products, methods, and programs. If you have a background of professional leadership, good people skills, an understanding of basic business math, capital to invest, the desire to go out on your own, and personal drive, then franchising might be for you. The biggest advantage of franchising is that it combines the self-determination and independence of business ownership with the security of a proven concept and a system that works. Franchising is an ideal option for someone who wants to own a business, but may not have an original concept to develop or the desire to devise all the systems, processes, and procedures a new business requires. In the franchising model, all the groundwork is already done. Someone has already dreamed a big dream, figured out how to make it work, and marketed and sold their way into a well-defined niche. By the time you come along, that original entrepreneur is looking for an investor and partner to build on his or her initial success. The franchise option can give anyone a fast-track to business ownership. So many hard-working folks who dream of entrepreneurship never take steps toward going out on their own because there are just too many unknowns and risks. Franchising provides a streamlined path to owning a business—a path on which the biggest unknowns, risks, and obstacles have already been cleared. What’s the Right Way to Find the Perfect Franchise? There are thousands of franchise businesses available, but, of course, they’re not all good ones. How do you separate the gems from the coal to find the best franchise for you? Most people start with the internet. Often, when I complete my research as a franchise consultant and present the top concepts to a candidate, I can hear him or her typing into a search engine while we’re still on the phone. If you’re working on your own and search, for instance, for a home cleaning franchise, hundreds of results will pop up. You need a system to weed the proven concepts from the riskier ones. The way I look at it, there are three primary ways to go through this process. For our purposes, we can call them Good, Better, and Best. Good: Fishing for Information. You can go to a website that advertises franchising concepts and provide your personal information. Franchise companies may pay to advertise on this site, and third-party salespeople will likely purchase your contact information from the site and reach out to you to offer you more details. This can quickly become intrusive and overwhelming, so proceed with caution when deciding where you want to provide your personal information. Using this kind of franchise portal can be a regrettable experience that leaves you inundated with phone calls and emails from now until eternity—not just from the people you gave your name to, but from everyone they’ll sell your information to as well. Better: Straight to the Sales Department. To find out more about a particular company, you can also go straight to the source, the franchise company. You may have an interest in a particular brand, or you may have read about a prospect you want to explore. When you approach the franchisor directly, you come to them as an “organic lead.” On the franchisor's home page, you will find an information tab. You can click on that tab and provide your contact information to learn more about franchise opportunities. By doing so, you enter the company’s sales pipeline, and someone in their development group will certainly respond. However, there’s no financial benefit for you in requesting information directly through a franchisor's website. The franchise fee does not depend upon how you were registered or introduced to the company. The drawback to this approach is that it tends to be narrow. It is challenging to compare concepts when each is being “sold” to you directly from the franchise company. Best: Enlisting a Neutral Third Party. The third alternative is to engage a neutral third party to compile information and help you evaluate the different concepts. That neutral party is a franchise consultant. A good consultant has broad experience and expertise in the franchise world and can walk you through a self-evaluation and investment search. A good franchise consultant will research concepts for you and introduce you to the options that best match your goals and strengths. A consultant can take some of the emotion out of the decision and help you recognize when a concept is made more of whiz-bang marketing than proven success in practice. When you do choose a concept to learn more about, a franchise consultant brings you to the franchisor not as an unknown entity, but as a vetted candidate. Many people ask me how franchise consultants are compensated for their services, and the answer is that they are paid a referral fee by the franchisor when a candidate invests. This is very similar to the way a realtor is paid. Why do franchisors pay for this service? Because they, too, are trying to find not just any partner, but the right partner. They build trusting relationships with consultants who bring solid, solvent, vetted candidates to the table. Ready to HIRE YOURSELF? I’ve created a quick quiz to help you discover if franchising is right for you. If you follow this link, you can take it and see for yourself.